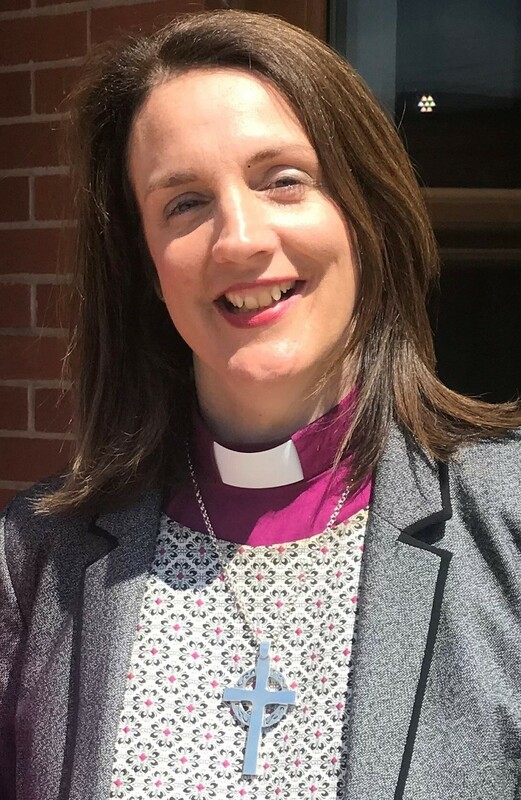 Here is the message from Rt Rev Dr Jill Duff, the Bishop of Lancaster, in video format first and (following below) the full text as well. I have a confession to make. I have strict rules for myself about not crying in public. But I recently broke them; for the first time as a Bishop. I was at Devonshire Primary Academy in Blackpool to do an assembly. The night before, their choir had won 3rd Prize in the Last Choir Standing competition at Blackpool Tower. So the plan was they would finish my assembly with their song. So far so good. These children were singing from the heart. You could tell already they knew how it felt to love someone and it go to waste and to lose something precious you can’t replace. There was not a dry eye in the house. Maybe you have experienced music that’s brought tears to your eyes, touched pain you cannot put into words. In times of bereavement I’ve found myself playing the film soundtrack from Schindlers’ List over and over again. The minor key, the unresolved pain in the chords, the terrible atrocity it portrays. But our default mode is to shut the door on our pain. To keep busy with all our displacement activities. When Princess Diana died 22 years ago, those carpets of flowers and candles around the country showed just how much grief we’d kept locked away, tidied up. The Great British stiff upper lip. We do not grieve well. We hardly lament at all. In the hymn book on my piano at home – there’s only two hymns in the section for Good Friday. We keep ourselves busy. We take selfies. Always smiling. We post edited highlights of our tidy, happy lives on Facebook. We do not want to stay with pain, we want to dull it, fix it, tidy it up. Especially the pain of abandonment. And especially when it’s our fault, it’s our mistake, it’s our sin. Our instinct is to hide from the pain; to hide from our sin; to hide from God. And there was no answer from God. Complete stony silence. The heavens were shut. Total abandonment. To Hell. Three days later, on first Easter morning, Jesus’s followers suffered another terrible bereavement – the empty tomb. They presumed His body had been stolen. Their hopes were unbearably crushed. Again. Peter and John couldn’t bear to stay with the pain, so kept themselves busy, went back to their jobs, displacement activity, going out fishing. Who could blame them? And that’s where she met two angels… that’s where she met Jesus face to face. She stayed with the pain and that’s when she heard Jesus say her name ‘Mary’. This Easter may you have courage like Mary to stay with the pain. May His angels draw near but, most of all, may you meet Jesus face to face, who calls you by name, who carries your pain in his body on the cross and who one day will wipe every tear from your eyes.